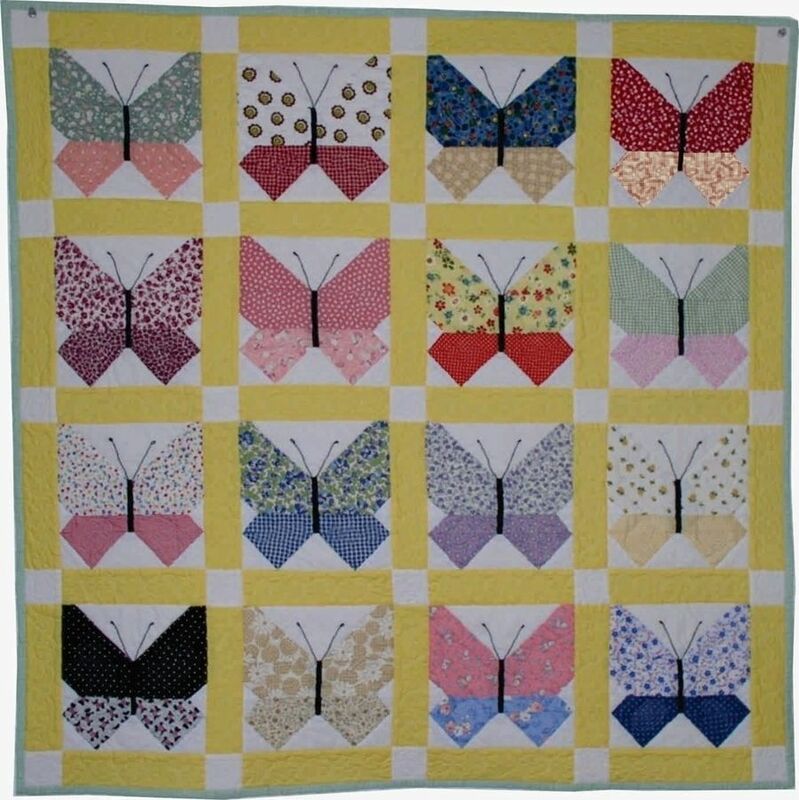 Butterfly quilts represent a simpler time and are often done in 30s fabrics. However, you can bring these happy fluttery creatures up-to date, by using more contemporary fabrics. If you love the 30s fabrics, as I do, you can stick with the tried and true, as show here or give an updated version a try, as shown on the back of this pattern. Either version is sure to elicit happy feelings from anyone who sees or receives your quilt. Perfect for a baby quilt or a lap quilt. You could also add more blocks and make it bed-size. Quilt measures 42 1/2" x 42 1/2".